Look At Me Films announced on August 6 the additional casting for “HUNTING SEASON,” with Jamie-Lynn Sigler (“THE SOPRANOS,” “ENTOURAGE”) set to star alongside Deanna Russo (“BEING HUMAN,” “KNIGHT RIDER”). Bruce Davison, Sean Maher and Paula Garces have also joined the cast for the third film from genre director Megan Freels Johnston (“THE ICE CREAM TRUCK,” “REBOUND”). Russo is set to play near-desperately single Piper opposite Jamie-Lynn (“THE SOPRANOS,” “ENTOURAGE”), who will play her roommate Abby, a street-smart social worker. Frequent Joss Whedon collaborator Sean Maher (“FIREFLY,” “MUCH ADO ABOUT NOTHING”) will play Piper’s dashing new boyfriend, James. When their romantic weekend together goes awry, Abby (Sigler) must track her to his family’s hunting lodge before it’s too late. The real danger in this film isn’t being chased in the woods by a psycho in a mask—it’s the 1%. Johnston’s previous film "THE ICE CREAM TRUCK," a horror comedy about a bored housewife, was released last year to critical acclaim. "HUNTING SEASON" will continue Johnston’s series of films that explore the unique fears that women face in today’s society—a departure from typicalindie horror fare, which often looks only at the part (or parts) rather than the whole woman. 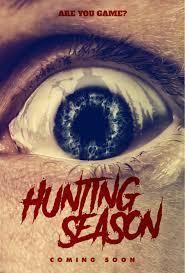 "HUNTING SEASON" is set to shoot this fall.